Did The Russians Buy Their Way Into The Easiest Group In Modern World Cup History? Do you believe they were THAT lucky? As the host country, Russia is placed in Pot 1, which made it impossible for them to be grouped with a powerhouse like Brazil or Germany. However Russia’s lucky break being grouped with Uruguay, Egypt and Saudi Arabia are raising eyebrows around the world. Based on Elo ratings — a measure of a team’s quality that takes into account factors such margin of victory, game importance and game location — Russia’s Group A is the weakest group in modern World Cup history. FIFA has had numerous instances of corruption within its ranks, including a recent banishment of a one-time FIFA presidential candidate Mohamed Bin Hammam. The awarding of this year’s World Cup to Russia and the 2022 World Cup to Qatar has drawn attacks from many internal anti-corruption entities. Many fans are convinced that heated, frozen, heavier or vibrating balls during the drawing could be used to achieve the desired outcomes. 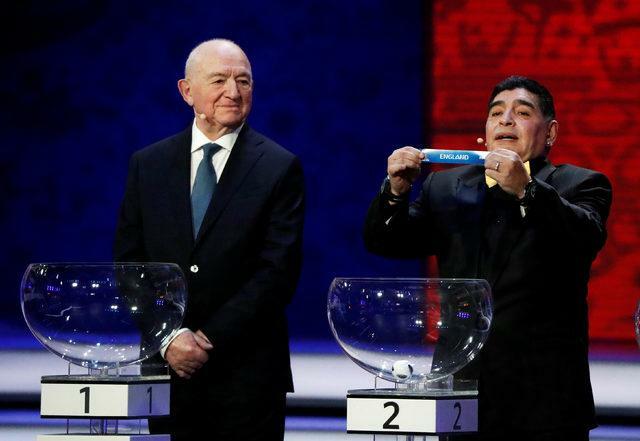 Do you believe Russia and FIFA colluded to cheat the drawings to give Russia an easier first round?